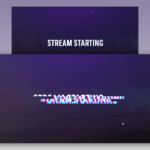 The Glitch Animated Stream Scene Package comes with stream starting, be right back, and stream ending videos. 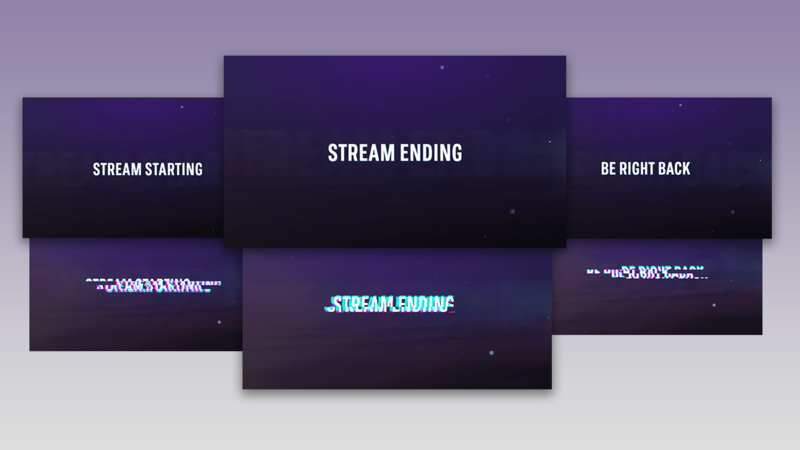 Designed with a badass glitch text effect, your stream is truly about to stand out when adding these animated scenes to your stream! 1. 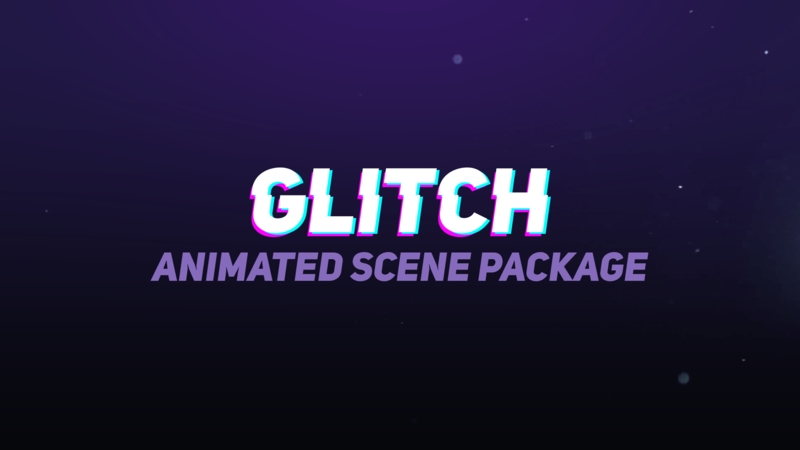 Download Default Videos – With this option you can instantly download the three default versions (starting, brb, and ending) of the Animated Glitch Scene videos, as well as the After Effects template file if you want to make any edits yourself. The videos will look exactly like the example video above. They come as .mp4 files and will work with your favorite streaming apps like OBS and Xfire. 2. 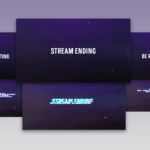 We Edit For You – If you want edits made to these scenes, and can’t do them yourself, then you’ll want to buy this option. With this option you can let us know what color and/or text edits you’d like made and we’ll design it for you. After you go through the checkout process you will have a customization form you can fill out where you can let us know of all the edits you’d like made. 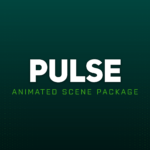 We’ll send you your edited scene videos to your email once completed. 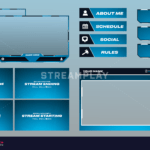 Want a more professional looking stream? these scenes ready for the next time you go live! Includes 3 .mp4 video files + the AE file for editing. We'll customize everything for you and send the videos once completed. I also got the AE archives so I can edit them my way or add some cool stuff to it. 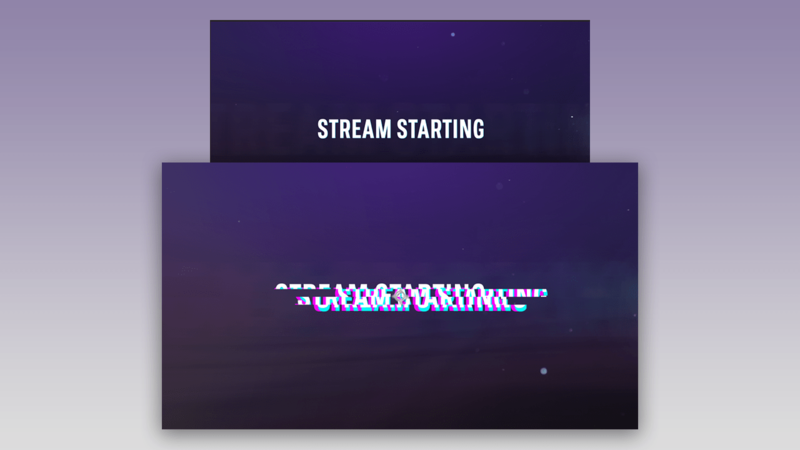 If you want to use them like that you can do so too and they look really pretty and elegant on stream. It was edited exactly as I requested and was delivered to me fast. Can’t wait to use it live. I love it!